While a TV deal for All Elite Wrestling has been rumored for months, it looks they are holding out for a good one. AEW seems to be making important strategic moves to ensure their success going forward. All Elite Wrestling or AEW was announced back in January. The upstart promotion funded by Shahid Khan and Tony Khan announced the signings of The Elite which include Cody Rhodes, The Young Bucks, Hangman Page, The Lucha Bros., PAC, and living WWE Legend Chris Jericho. Wrestling fans are excited about the potential that AEW has to offer. Most believe that WWE was at its best when it had real competition in WCW. The Monday night wars were a boom time for pro-wrestling, and many fans would be excited if that happened again. As first reported by Wrestling Inc via Dave Meltzer on Wrestling Observer radio, All Elite Wrestling is reportedly in no rush to sign any specific contract. Meltzer also says talks are ongoing and nothing has fallen apart. On the flip side, AEW may be holding out for something big that will not enhance the company's reputation but also put them on firm strategic ground. Meltzer also noted that a decision would come sooner rather than later. Meltzer also said that streaming options are also on the table, especially with regards to AEW Double or Nothing. This will enhance the accessibility of the viewing audience at home. 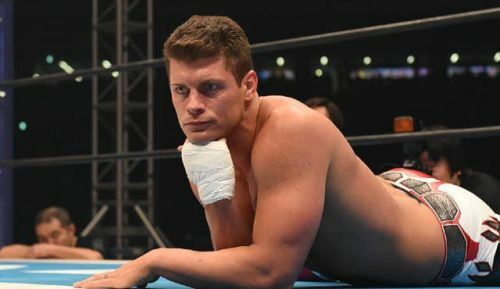 Cody Rhodes had this to say, on the Wrestling Inc.'s own WINCLY Podcast when claiming any potential deal will be a game-changer in the professional wrestling industry. I can't talk about it but I know that I was quoted as saying - not by you guys - that, 'A TV deal was not important.' And I think that in the context I was speaking, I was talking about how important social media and do-it-yourself brands are compared to the traditional TV median. AEW Double or Nothing will be held at the MGM Grand arena on May 25, 2019, in Paradise, Nevada.